Set atop a floor, The Windflower Studio is characterised with high ceilings, a balcony where one could look at the elements of nature passing by and a bright three point fixture bathroom with an enclosed shower. 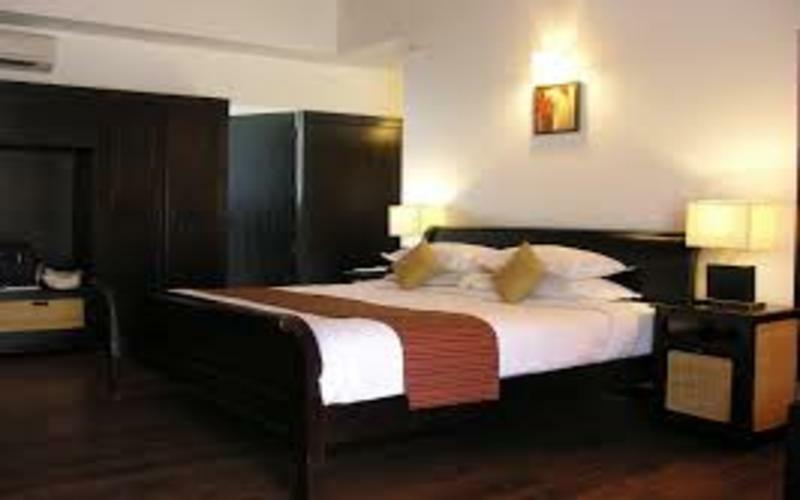 The room has in the centre a large comfy bed with loads of pillows, a large screen TV set in front. And a large side couch with makes a separate living space within the room.